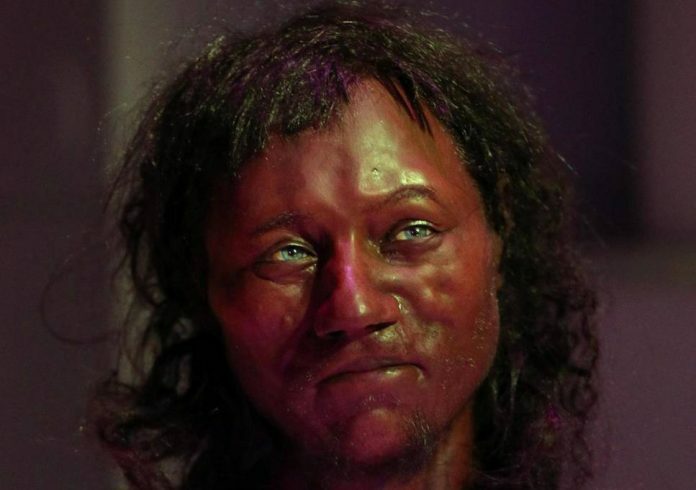 A DNA analysis of Britain’s oldest complete skeleton, also known as “Cheddar Man,” revealed that the first modern Britons may not have been pale, as many people may have assumed, but had “dark to black” skin, the Guardian reported. Professor Ian Barnes, research leader at the Natural History Museum, said at a screening of the documentary: “For me, it’s not just the skin colour that’s interesting, it’s that combination of features that make him look not like anyone that you’d see today. His ancestors migrated to Europe from the Middle East after the Ice Age and today, 10 per cent of White British people are descended from the group. The First Brit: Secrets of the 10,000 Year Old Man airs on Channel 4 on Sunday February 18.